Tamarack Solar UNI-SP/02X Side of Pole Solar PV mounts are a simple mounting solution for small area solar PV needs. They support pole diameters of 2 to 4.5 inches and support solar PV modules with center-center distribution of 19 to 39 inches. 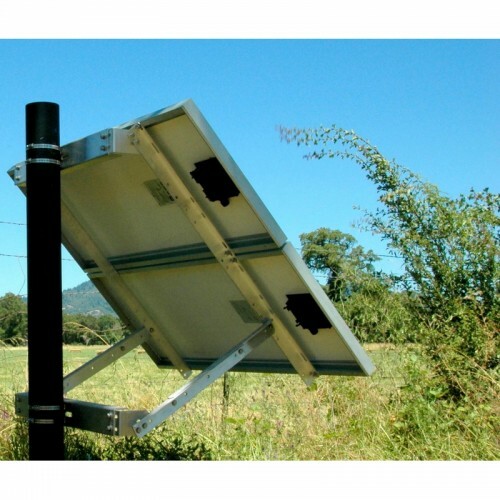 Side of Pole solar PV mounts are manufactured using heavy-duty corrosion-resistant 5000 series aluminum and stainless steel hardware. NOTE: Schedule 40 Pipe is not included.